Don’t you hate it when you get a virus and your nose gets all blocked and you can’t smell properly? Well, you might have an unexpected sympathiser: the Aedes aegypti mosquito. Ok, well it might be a stretch to suggest that mosquitoes feel the same way we do (or that they have the capacity to sympathise) but when they’re infected with the dengue virus, our latest research with Deakin University’s Institute for Intelligent System Research and Innovation shows the virus significantly impacts their sense of smell. This, in turn, changes their breeding behaviour, increasing their range of transmission. Why would a tiny virus bother to manipulate a mosquito’s sense of smell? Unluckily for us, just like any animal, they want to improve their chances of spreading their genetic material as far and wide as possible. To do this, they need their hosts (mozzies) to spread far and wide. Normally, mosquitoes try to breed at a site with similar conditions to where they hatched, and they use smell to find those sites. Once they bite someone with dengue virus, the virus alters their gene expression and smelling ability (or preference, we’re not quite sure). This means that they can’t, or don’t want to, find their usual sites – they lay their eggs anywhere. The infected mosquitoes now have a much wider range of potential infection, allowing the virus to spread its genes far and wide. The Aedes aegypti mosquito is one of the world’s most dangerous animals, infecting millions of people around the world every year with diseases including dengue fever. With growing populations, urbanisation in tropical and sub-tropical locations and urbanisation, the World Health Organization believes about half of the world’s population is now at risk. Now we have a better understanding of how dengue spreads, and how it manipulates the host’s behaviour, we can use that information against the virus. Now we know that the mosquito’s sense of smell is impacted, we can look at new methods to attract, capture and kill the infected mosquitos. 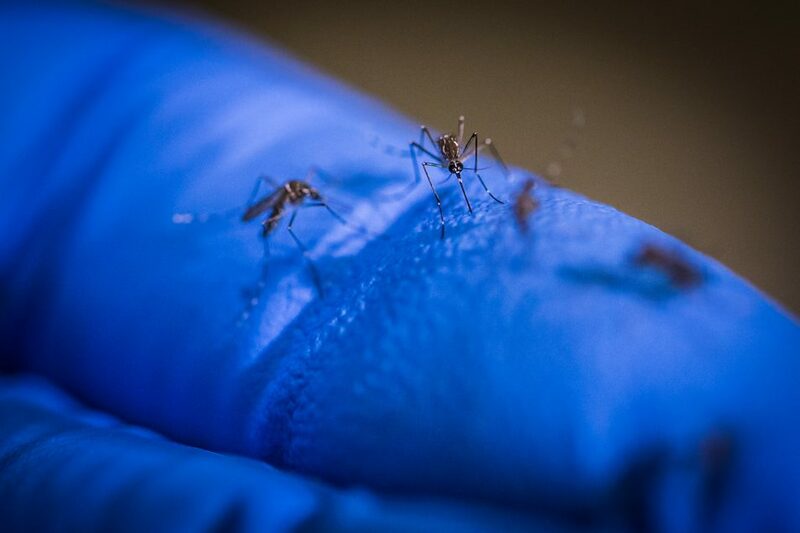 Also, now that we know the tiny dengue virus has the ability to manipulate the mosquito’s behaviour, we can start looking for other behavioural changes that the virus may cause to see if there’s any other ways to bite back. We’ve also reduced the population of the invasive Aedes aegypti mosquito in Innisfail by 80 per cent.